Including the debate around the GFA and a customs union, Theresa May’s speech, the Commons Committee report on EU trade agreements, Joint Ministerial Council meeting, EU Withdrawal Bill, Joint statement from IHREC-NIHRC on Brexit. Joint Committee of the Irish Human Rights and Equality Commission and NI Human Rights Commission statement on UK withdrawal from the EU. Geoff, our policy and public affairs manager attended the Centre for Cross Border Studies Conference- The Good Friday Agreement in all its parts: safeguarding the totality of relations last week which was a timely conference given the recent attacks on the Good Friday Agreement from some Brexiteers, considered as an attempt to remove this protection against a hard Brexit here and get around the tricky issue of leaving the customs union. There has also been much recent debate around the issue of the customs union and whether we will be in or out. The EU published a draft Withdrawal Agreement at the end of February which laid out a proposal that would see NI considered part of the EU bloc’s customs territory after Brexit and avoiding a hard border by having a common regulatory area which would ensure free movement of goods and North-South co-operation protected. This is against a backdrop of Conservative MP Anna Soubry proposing an amendment to the Trade Bill (which is also going through Westminster) to state that the UK would remain in a customs union. This was made more complicated for the government with the Labour party shifting their position to also support remaining in a customs union with the EU. This has led to delays in the Commons on a vote on the Trade Bill amid fears of a defeat on this issue which would jeopardise the current negotiations. Repetition of the commitment to take back control of borders, laws and money but not to have a ‘distant relationship’ with the EU. A long-term, enduring relationship with the EU. The UK will seek to be a modern, open, outward-looking tolerant, European democracy. May acknowledged that the task ahead was complex but reiterated her commitment to the Joint Report agreed in December 2017 (here). This included reaffirming a commitment to uphold the Good Friday Agreement and avoiding a hard border within the island, although she advised that any type of customs or regulatory border between NI and GB would be unacceptable. However, details on how the UK government are proposing to do this are still lacking. The UK currently benefits from trade agreements, and other trade-related agreements, that the EU has with countries outside the EU. The Department for International Trade has said that it is its second highest priority to see a transition of these agreements to a UK agreement when it leaves the EU. There is estimated to be around 40 agreements with 70 countries. There is a risk that these trade arrangements will “fall off a cliff edge” if the UK government does not act to transition these EU trade deals to UK trade deals. Encourages that the UK government seek to be treated as if it were still an EU member in the post-Brexit transition period. This would however be an admission that the government’s initial policy of negotiating new agreements by March 2019 will not be achieved. Recommends that the Government should set out provisions for more extensive parliamentary scrutiny and more involvement from devolved administrations. Need for a cross departmental and cross governmental approach to constructing the UK’s trade policy. There was a meeting of Ministers from the Scottish and Welsh governments last Thursday to discuss devolution post Brexit. The UK wishes to retain control over a number of areas temporarily following Brexit however there is disagreement on this from the Scottish and Welsh governments who have accused the UK government of a power grab (this situation would also apply to Northern Ireland). Both Scottish and Welsh governments have laid out plans for continuity bills as a fall-back option to deal with legal uncertainties post Brexit. We have not been able to undertake the same exercise here due to having no functioning government. There UK government has detailed the 24 policy areas where a ‘legislative common approach might be needed, including agricultural policy, animal welfare, environmental quality, food labelling, public procurement, see here for a full list. Day 6 of Committee Stage in the House of Lords took place on Monday 12th March with line by line examination of the bill continued into the early hours of the morning. Several issues were discussed including proposing changes relating to dealing with deficiencies arising from withdrawal, clinical trials and maintaining alignment with European partners after Brexit was also discussed. The issue of devolved powers was also debated at length with peers raising concerns about the change to the constitutional balance of powers between UK governments and the devolved administrations. Border controls, costs and delays were highlighted as well as transport issues. No votes have been taken on any amendments in the House of Lords yet. Report Stage is scheduled to begin on 18th April. What else has been discussed in the House of Lords to date? This statement urged that safeguarding measures on human rights issues must be implemented before EU withdrawal to avoid a differentiation of rights protections between the North and South of Ireland. The statement outlined six requirements for the final EU withdrawal agreement to meet the obligations of the Good Friday Agreement. 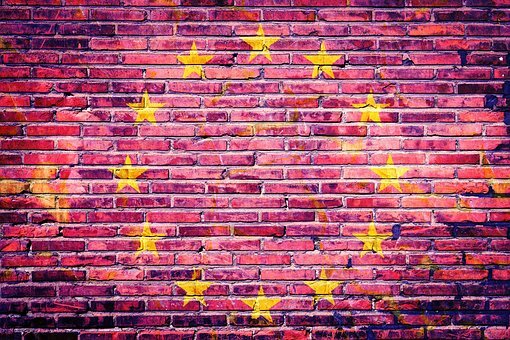 Ensure no diminution of rights within the withdrawal agreement. Safeguard the North-South equivalency of rights on an ongoing basis. Guarantee equality of citizenship within Northern Ireland. Ensure evolving justice arrangements do not water down rights. Ensure continued right to participate in public life for EU citizens in Northern Ireland. the Withdrawal Agreement must provide for the continuing North-South equivalence of rights after Brexit as established in the Good Friday Agreement. The EU seeks a legal commitment for retaining the Charter of Fundamental Rights and that rights can be enforced by the Court of Justice in the EU in NI. All people of NI retain the right to stand and vote in European Parliament elections. It will be one year since Article 50 was triggered in March 2017 and one year until we are set to leave the European Union. The plan for EU withdrawal is as unclear has ever, with no detailed agreement being reached and many of the sticking points unresolved. There is still much uncertainty about what UK will look like on the other side as well as major issues around Northern Ireland and the border, the role of devolved legislatures, no trade deal, dispute resolution frameworks, divorce bill and transition period. Starting from the week beginning the 26th March join NICVA in sharing your #5BrexitQs and email them to politicians here and in GB (contact details below). What are the government’s plans for avoiding a hardening of the border? What will replace EU funding and subsidies (e.g. for farming) here? How will our social, economic and citizens’ rights and freedoms be protected? How will cross border access to and collaboration on health services be impacted? What legislation and enforcement will be in place to prevent regression on protecting our environments? Click here for more info on our #5BrexitQs campaign.